We’d love your help. Let us know what’s wrong with this preview of Classical Bujutsu by Donn F. Draeger. To ask other readers questions about Classical Bujutsu, please sign up. 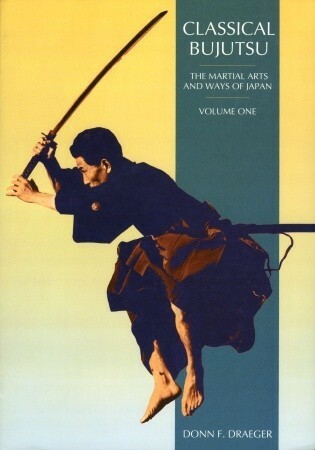 Perfect book from a legend in japanese martial arts. The western world would knew much less without Donn Draeger's contribution, devotion, practical scholarship. I look forward reading the next volumes. Donn Draegers material can be a little dry,but it's essential reading for an accurate historical understanding of the subject. His text on the kata of Judo is absolutely authoritative. For anyone interested in the history of martial arts you need Draegers work in your shelves. The man to read, very knowledgeable. Donald 'Donn' Frederick Draeger (April 15, 1922 – October 20, 1982) was an expert practitioner of Asian martial arts, an author of several martial arts books, and a United States Marine. Draeger was widely known and respected in the martial arts community, and was a leading martial arts researcher.